One of the first considerations an owner-builder needs to make is what type of deck you want to build. Decks come in all shapes and sizes, and functions. Could a free-standing deck be the right one for you. 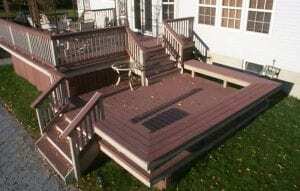 What is a free-standing deck? Free-standing decks are not directly attached to a house or other structure. Typical free-standing decks don’t include a roof, making them perfect for outdoor events. Because they don’t have to interface with any other structures, free-standing decks are also very strong and durable. Free-standing decks are perfect for sloping properties as they can transform the sloping yards into extra living space. They’re also ideal when building around or through existing trees you don’t intend to cut down or relocate. How free-standing decks are used? A free-standing deck is your own personal oasis. It’s a perfect place for relaxation and a space that allows you to escape from your worldly troubles. It can be the best place to host parties, entertain guests, or simply enjoy some sun or cool breezes. Free-standing decks can also provide an extraordinary view as they can be positioned much higher than a deck attached to a structure, giving you a better view of the surroundings. This height advantage is one of the main reasons why they’re ideal for sloping properties. Free-standing decks are an easy project, even for novices. In fact, they’re a great ‘practice’ project before tacking a deck attached to your home. Concrete embedded posts or stirrups are typically used to support free-standing decks. When building on slopes its best to provide extra length for the posts, ensuring that you don’t come short when you try to level the deck. Also be aware of the need for balustrades in any section of your deck is more than around 900mm (3 ft) above ground level. Your local building code will have specific regulations. If you’re not sure where to start, just go back to our very first decking blog and work your way through the steps! Convinced? Are there any particular features about free-standing decks that appeal to you? 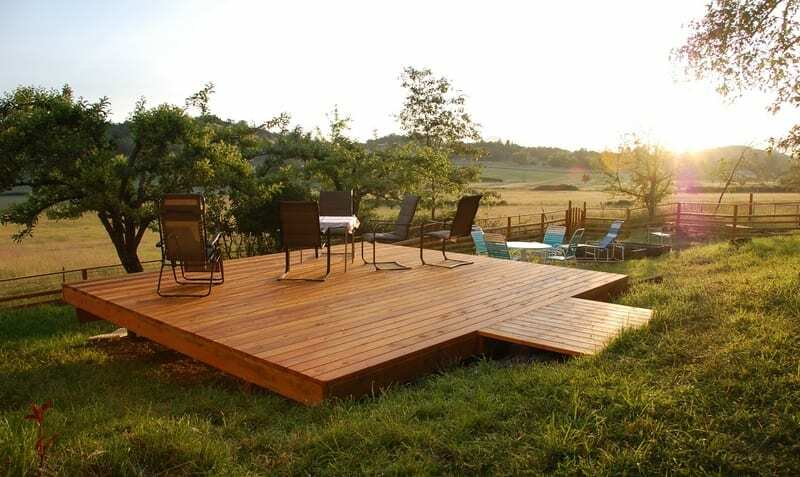 How would you use your free-standing deck?